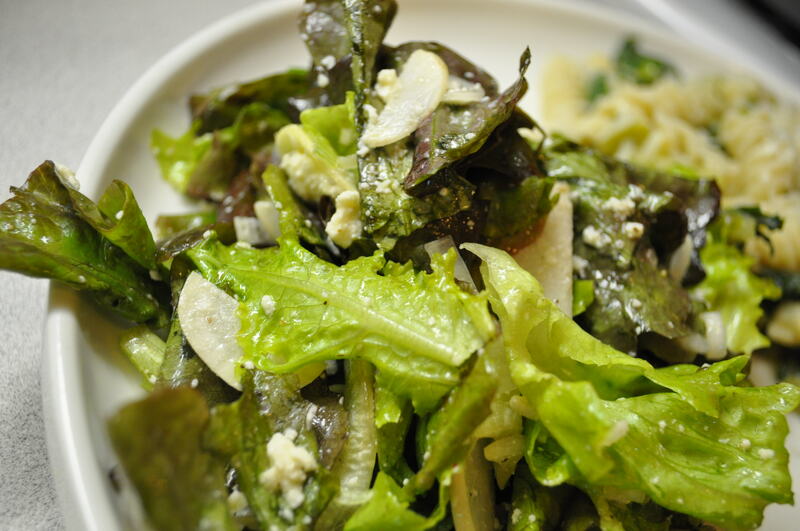 This Middle Eastern salad recipe is excellent served with greek dishes and makes a great side for lunch. 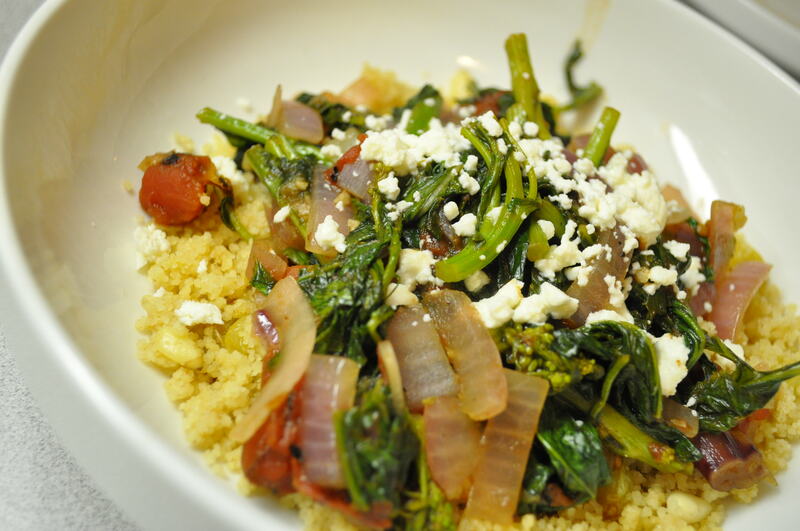 Since bulgur, also known as cracked wheat, is a whole grain, this recipe is packed with fiber. For a vegan tabbouleh, omit the feta. Recipe adapted from The Gourmet Cookbook 2004. 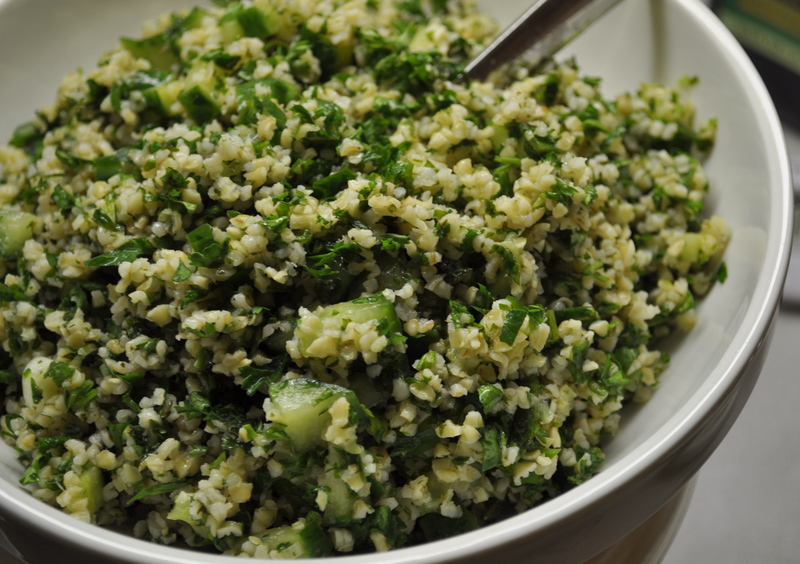 Stir together bulgur and 2 tbsp oil in a heat-proof bowl. Pour 2 cups of boiling water over bulgar, stir, then cover bowl tightly with plastic wrap and let stand for 15 minutes. Drain bulgur in a sieve, pressing on it to remove excess liquid. 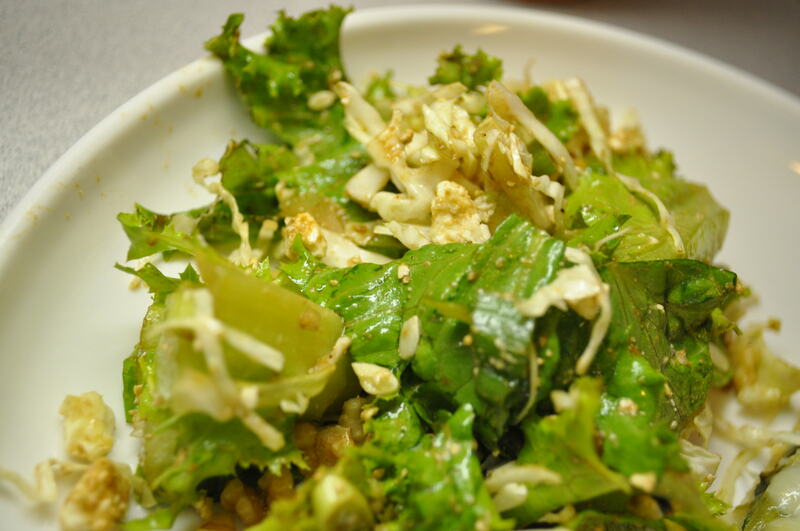 Transfer bulgur to a bowl and toss with remaining 3 tbsp oil and remaining ingredients until well combined. This recipe from Gourmet was my favorite side of the night. It was simple, fresh, and satisfying. I will definitely be bringing this to summer picnics next year. 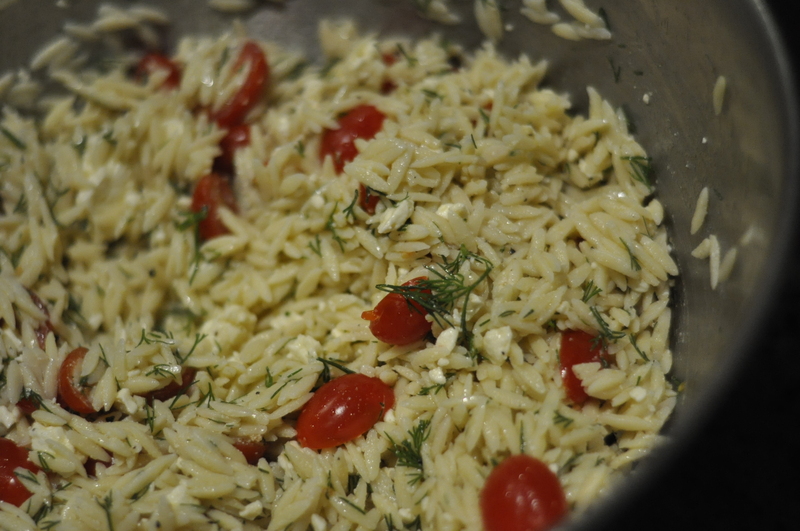 Drain orzo and toss with tomato mixture. Add feta and toss again.